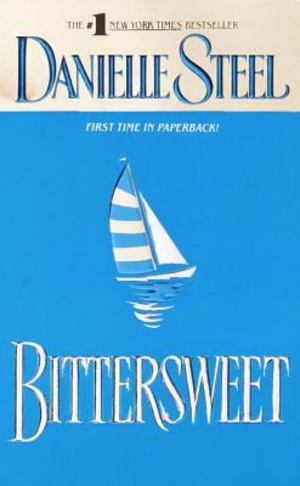 In Bittersweet, Danielle Steel has written a novel for our times, a story of choices and new beginnings. India Taylor lived in a world of manicured lawns and neatly maintained calendars: a merry-go-round of Little League, piano lessons, and Cape Cod summer vacations. With four wonderful children, India believed in commitment and sacrifice, just as she believed in Doug, the man she married 17 years before. For India, this was the promise she made, the life she had chosen--not the award-winning career as a photojournalist she once had. It was a choice she had never truly regretted. Until she begins to regret it with all her heart. India couldn't pinpoint the exact moment. Perhaps it was the last time her agent called, begging her to take an assignment Doug insisted she turn down. Or perhaps it was when Doug told her he thought of her as a companion and someone to take care of their kids, and not much more. At that moment, the price of the sacrifices she'd made began to seem high. And then, she met Paul Ward. A Wall Street tycoon married to a bestselling author, Paul lived life on his own terms, traveling the world on his own yacht. India hadn't planned to become Paul's friend. Anything more was unthinkable. Yet talking to Paul was so easy. India could share her dreams with him, and offer comfort when Paul suffers a heartbreak of his own. And while Paul urges India to reclaim her career, Doug is adamantly against it, determined to keep her tied to the home. But with Paul's encouragement, India slowly, painfully, begins to break free, and find herself again. Rediscovering her creativity and her courage, India uses Paul like a beacon on the horizon, sharing intimate phone conversations with a man half a world away, a man who never stops reminding her of all that is possible for her. India is changing, and nothing in her life will ever be the same again. Not her marriage. Not her friendship with Paul. And when India is presented with an irresistible opportunity, she makes a heart-wrenching decision, leaving a safe, familiar place-and the people she loves there-to move into the terror of the unknown. Bittersweet is her story, a story of freedom, of having dreams and making choices to find them. With unerring insight, Danielle Steel has created a moving portrait of a woman who dares to embark on a new adventure and the man who helps her get there. Her painful, exhilarating journey inspires us all.